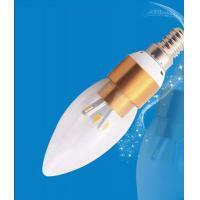 save the power 85% contract with the traditional bulb. Q: Nearly all LED tube T8 are the same exterior,how to tell quality? Though LED lighting products are with same or similar exterior,due to raw material cost difference is big,poor quality are all poor housing exterior with short FINs and light weight.So prices are also low. Besides,the driver exterior is also low-end with poor IC,MOS and capacitances. Q:Does LED tube T8 really have 50,000 hours lifespan? A:50,000 or longer lifespan is only theroy from lab test.But due to working enviroments are different from in lab,actual lifespan is only <=30,000hours. Especially for LED high bays and LED floods,the power is very huge,and lots of heat cause LEDs junction temperature very high.And light decay will be higher than low power LED products. Our LED tubes are in the market over 7 years,and according to feedbacks from our clients,nearly no faluire in 4-5 years. Q:For same power,why different suppliers with different brightness? A:Different chips,or same chip but different brightness version.The brightness will be different.But for same chip and same brightness version,the brightness will be slight difference.But please make clear the difference between LEDs and lamp fixture. For example,18W LED tube light,LEDs brightness is 2200lm,true fixture brightness is only 1700-1900lm(even lower).but many suppliers type 2200lm in their data sheet,please note this. A:CRI is a figure which feedback the real objects colors.Higher CRI with higher cost.For LED tubes,the CRI is mostly 70-75Ra,and 80Ra with higher cost.But there are some suppliers write a high data to attract clients,please note. Q:What is PF and efficiency? A:PF and efficiency is to feedback the driver electrical performance.Higher PF and efficiency with higher cost. A:Please inform us your detailed mind on your market demand,we will discuss and propose helpful suggestion for you,to find the best solution for you. For any further information,please feel free to contact,we will send you PDF document to show full issues you care on LED business.